Are you in need of a new dining room table for your contemporary home? The Amanda Dining Table from Armen Living has everything you’re need. The contemporary look of the table with its clean lines and stable base is easily accented with your own furniture or with the other pieces in the Amanda collection. 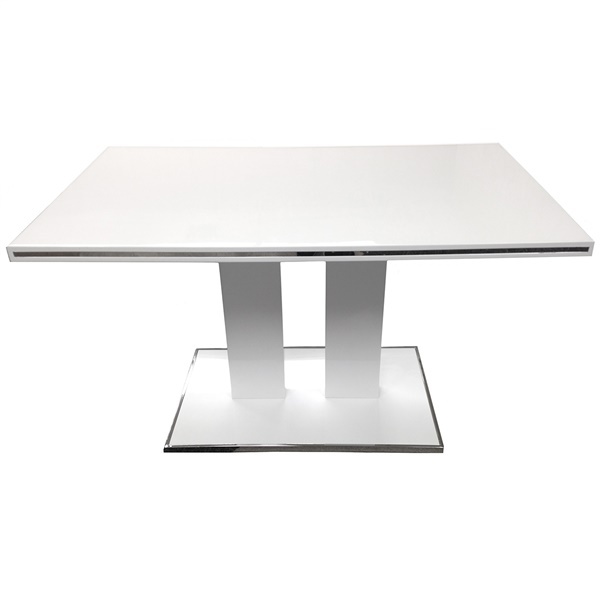 This table is very stylish and modern looking and will look wonderful in a modern home or apartment. Easy to accent with complementary Amanda pieces by Armen Living.